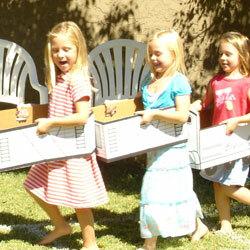 Box Train Express is a manufacturer and distributor of child-size, corrugated box vehicles, designed for Creative Play in a group or individual setting. 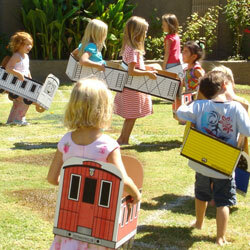 Our Train playsets are geared for Thomas the Tank Engine and other train lovers. 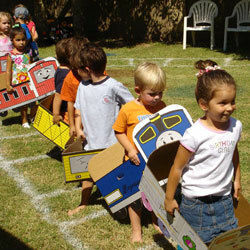 With Princess Trains and Steam Engines, boys and girls alike are enjoying the ride on their personalized train. Future product lines include fire trucks, school buses and dump trucks. Our mission is to create fun corrugated box vehicles that inspire our children's creativity and imagination, as well as encourage playful sharing. Our office is located in Scottsdale, Arizona, where we continue to support the local economy as all our products are created and manufactured in the United States. 5% off first order when you mention ToyDirectory! 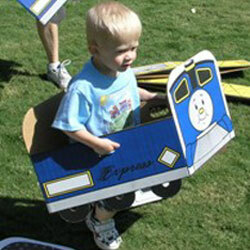 Click here to see some of the products Box Train Express has shared with ToyDirectory and TDmonthly Magazine.